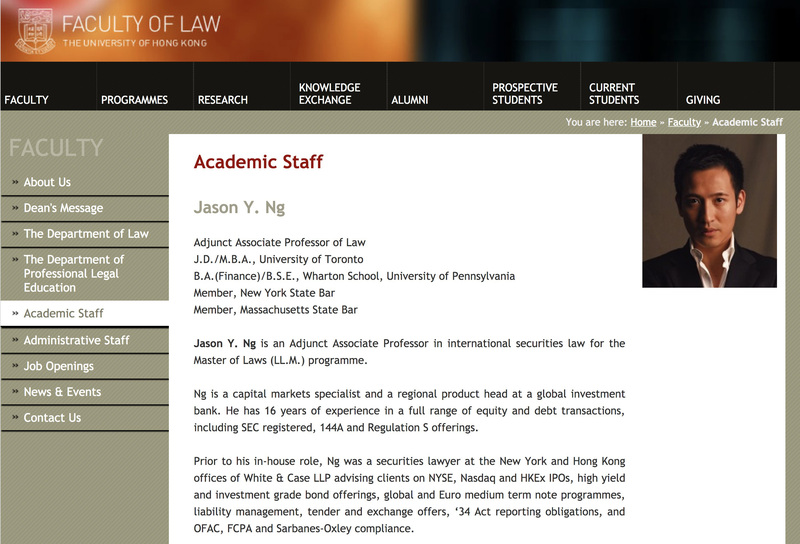 Jason is an Adjunct Associate Professor at the Faculty of Law of the University of hong Kong, where he teaches international securities law for the Master of Laws (LLM) program. Jason is a full-time in-house counsel and a capital markets specialist. He has 18 years of experience in a full range of equity and debt transactions, including SEC registered, 144A and Regulation S offerings. 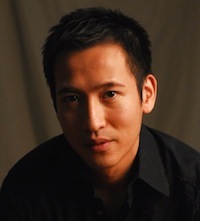 Prior to his in-house role, Jason was a securities lawyer at the New York and Hong Kong offices of White & Case LLP, one of the largest Wall Street law firms advising clients on NYSE, Nasdaq and HKEx IPOs, high yield and investment grade bond offerings, global and Euro medium term note programmes, liability management, tender and exchange offers, 1934 Act reporting obligations, and OFCA, FCPA, and Sarbanes-Oxley compliance. Jason's interest goes beyond securities law. In 2014, he was a panel moderator for a law conference on intellectual property protection hosted by the University of Hong Kong.